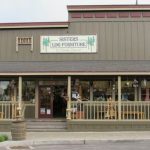 Sisters Log Furniture & Home Decor grew out of our personal love for locally made, handcrafted items. We personally know all the folks that create items for our stores. Their attention to detail and quality is evident and makes it easy to support these artists and craftsmen as they provide these wonderful home accents and works of art to you! We are located in the middle of downtown Sisters, at the foot of the “Three Sisters Mountains” in the high desert of Central Oregon. We are about 20 miles northwest of Bend, Oregon and just over 100 miles from the towns of Salem, Albany, and Eugene, Oregon. 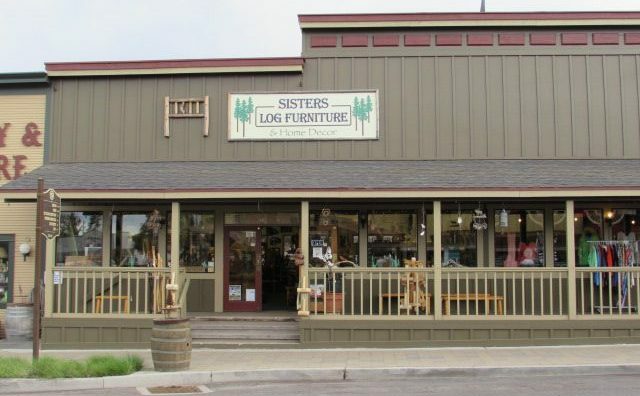 Sisters Log Furniture & Home Decor is located at 121 W. Cascade Ave. The street is Highway 20 and runs right through the heart of downtown Sisters. We are open 7 days a week from 10:00am to 5:00pm.